We love this twist on a S’more especially if you are camping! These homemade S’mores Campfire Cones are so easy. Heat in an oven or over a grill (not an open flame) for the perfect S’mores Dessert! We think a great addition would be butterscotch chips! 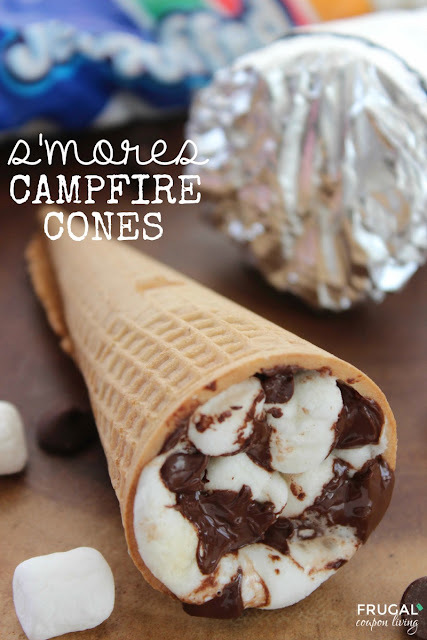 Fill each cone with marshmallows and chocolate chips. Unwrap and enjoy. Be careful as contents may be hot. 0 Response to "S’MORES CAMPFIRE CONES "